The story of a Sunderland pensioner who wanted to become a police officer for a day has touched hearts across the country. Margaret Thornton, who has terminal cancer, dreamed of becoming a detective during her childhood on Wearside. And when Northumbria Police heard of her ambition, they teamed up with Tyne and Wear Fire and Rescue Service to make it a reality. 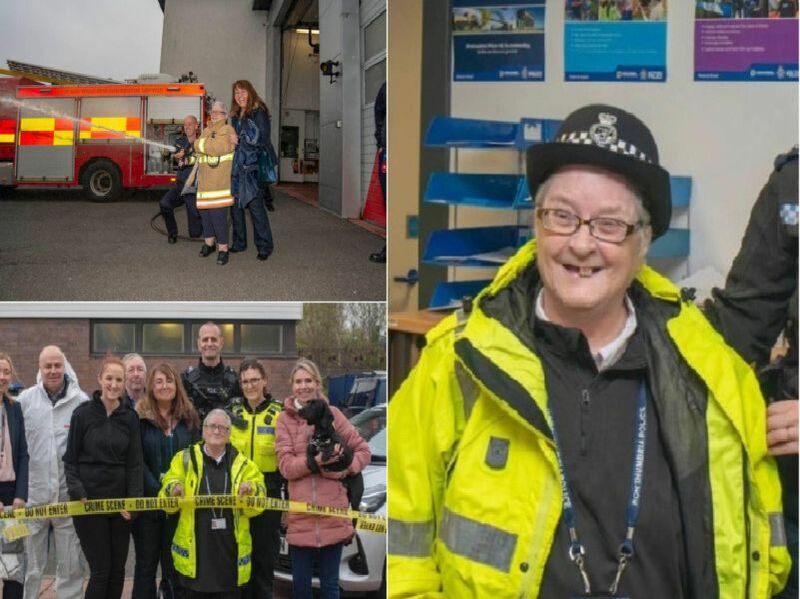 Here, we take a look at how her magical day unfolded, and share some of your messages of support for the emergency services in granting the 70-year-old her wish. Mary Pinder: "That's brilliant and it was great what the officers did to make her dream come true." Irene Beer said: "Looking good Margaret can't wait to hear all about it." Mary Clark said: "What a lovely thing for the police to do for that lady, to make a dream come true for her." Julie Harvey Davis said: "Good for you Margaret, well done."